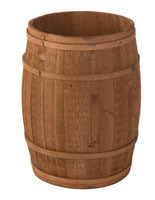 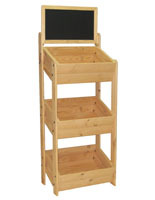 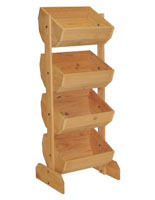 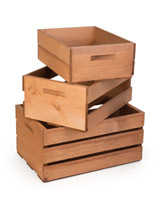 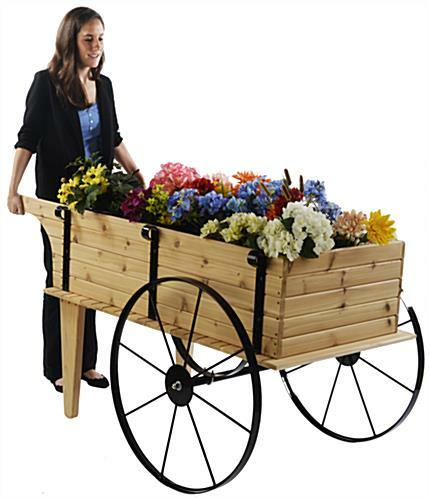 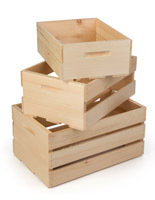 This wooden flower cart is made of quality red cedar. 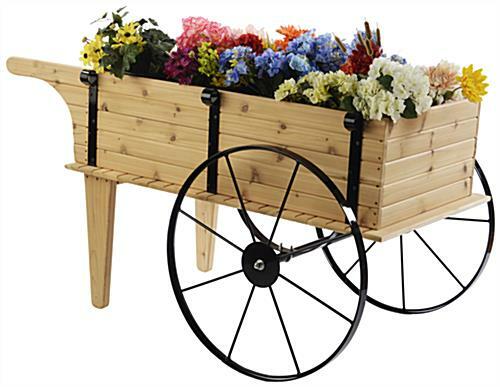 All the metal parts are crafted from black powder coated steel for durability in high traffic establishments, such as an outdoor flea market. 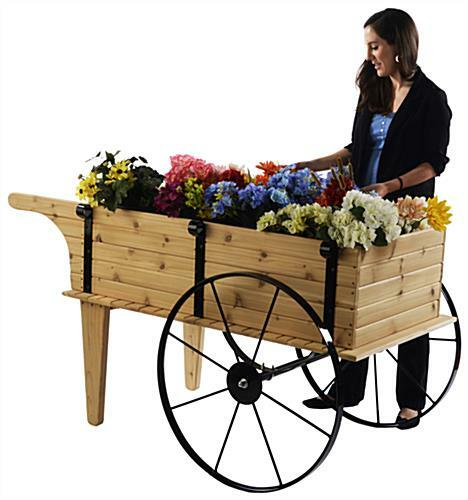 Each garden shop flower cart ships to the customer almost completely assembled, with only the wheels needing to be attached and the legs screwed in. 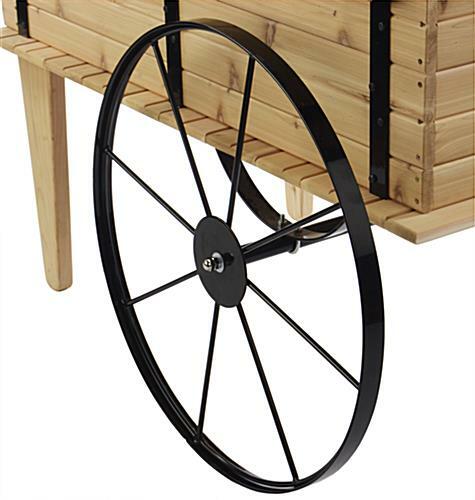 The bearings are pre-installed to ensure the 30” wheels move efficiently. 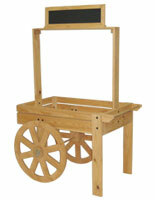 Depending on the use, rolling of the flower cart may not be desired, therefore the tension is adjustable. These wagons are often seen at flea markets, outdoor garden shops filled with plant pots, and are also used for presenting goods in grocery store settings. 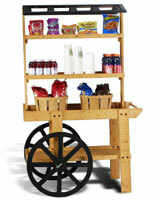 Each wagon also comes with a platform shelf, which customers can choose whether or not they want to use. 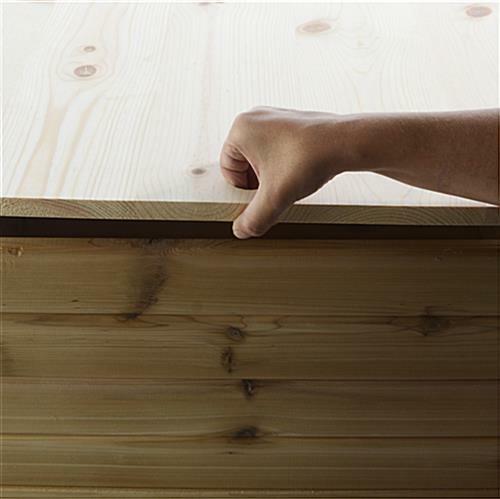 The shelf does have a hole for easy removal and placing on the unit. 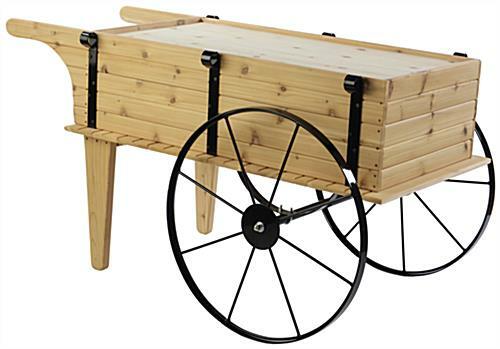 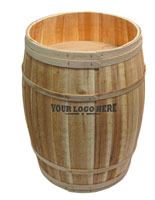 The wagon can hold up to 400lbs of plant pots, wine, or assorted merchandise. 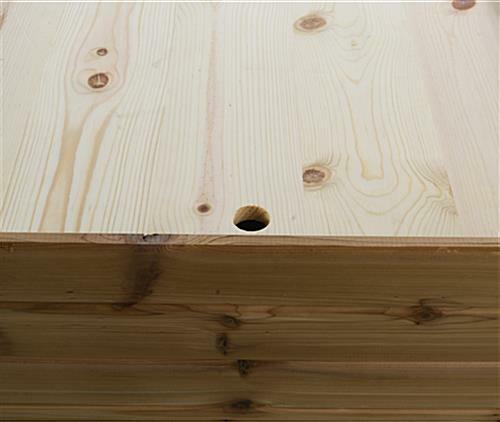 66.0" x 73.3" x 36.3"
46.3" x 13.0" x 24.0"